This past weekend I spent some time in the Brawler’s Guild Arena in an attempt to get a new follower and a gem pattern. Meatball is a funny looking follower that you get for reaching Rank 5 in the Brawler’s Guild. You actually fight him in the arena. Once defeated he appears on the sidelines with the Meatball quest which allows him to become one of your followers. I was very lucky. My Meatball came with both the Scavenger and Greasemonkey traits, which means he’ll bring me back extra garrison resources or Oil on those types of missions, which is pretty fantastic given how short I am on garrison resources now (thanks Shipyard!). I’ve made two gems so far – one for myself in case I need it for any HFC loot drops. The second I’ve put up on the auction house in the hopes of making some gold. They are selling for a reasonably decent amount at the moment, and I’ve spent far too much gold on mounts this patch, so it would good to get some of that back! I stopped in Brawler’s Guild once I got to level 6. I finished it all when it was out in Mists of Pandaria and for the moment I don’t feel a pressing need to finish it off as there are no new mounts or anything for getting max level this time around. Having said that, I’ve only got 2 levels left until it’s maxed out so I think the completionist in me will want to finish it off before the next expansion comes out. For those of you who haven’ done Brawler’s Guild yet, I do recommend it! It can be great fun. Some of the bosses are very interesting (though if you’ve got decent gear you zerg most of the fights). 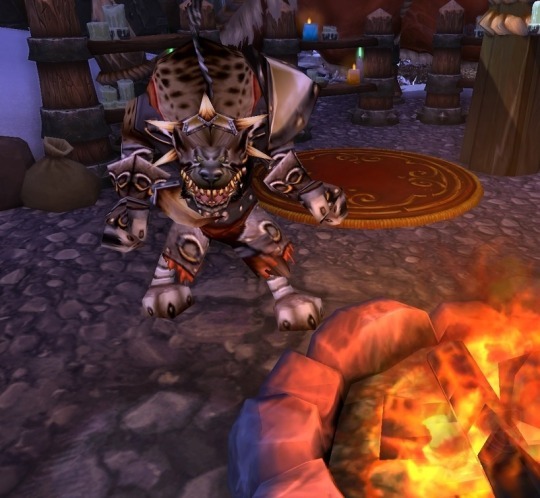 Wowhead has an awesome guide to Brawler’s Guild for 6.2 which you can check out here. It’s a great place to start if you haven’t seen a lot about it. How far have you guys gotten in Brawler’s?